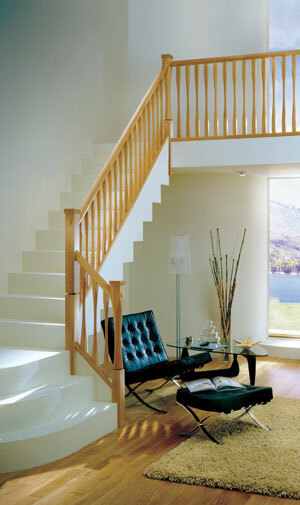 The slender range of stair parts is a new contemporary style manufactured by Richard Burbidge. We offer the slender range in Pine, Dard Hardwood and Oak. 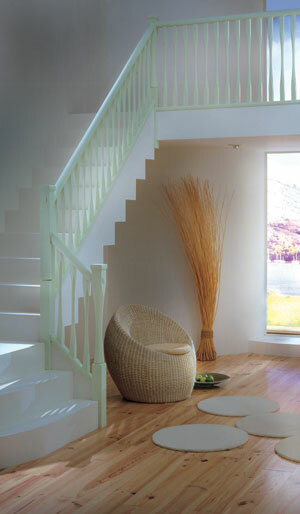 On the left you can see the slender stairparts in Pine - Pine is the lowest cost option on all the stairparts we offer. This style is becoming more popular at the moment the parts are available pre-drilled for the bracket fix system and now undrilled for Professionals. 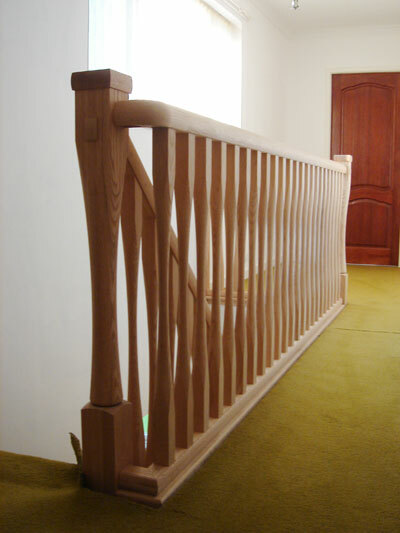 If you are looking for a new staircase with this style of balustrading let us know on your enquiry, if you are looking to convert your existing staircase you can find these parts available on our online shop. 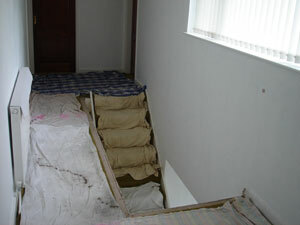 the quays and modus range of stairparts are of a similar nature but Slender was the first. 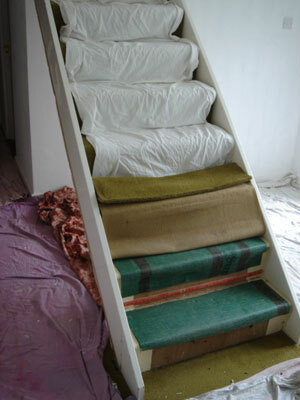 Where Can I Order Slender Stairparts online ? 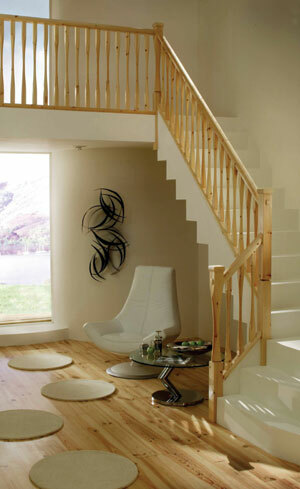 Tradestairs.com - Slender Stairparts Section - Pine Slender Stairparts - Hardwood Slender Stairparts - Oak Slender Stairparts . 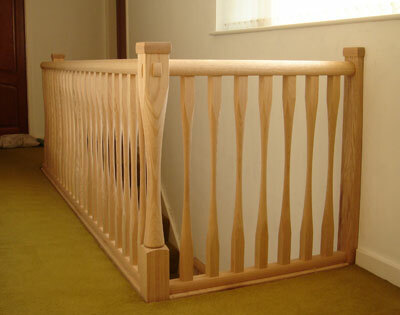 The Oak range of the slender stair parts is our biggest selling line. The Slender Balusters available in 900mm and 1100mm lengths, 41mm in section. 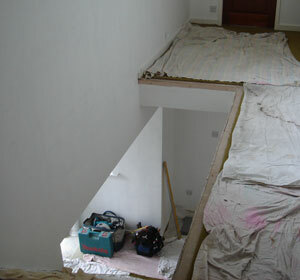 Landing area clear ready for new handrails. 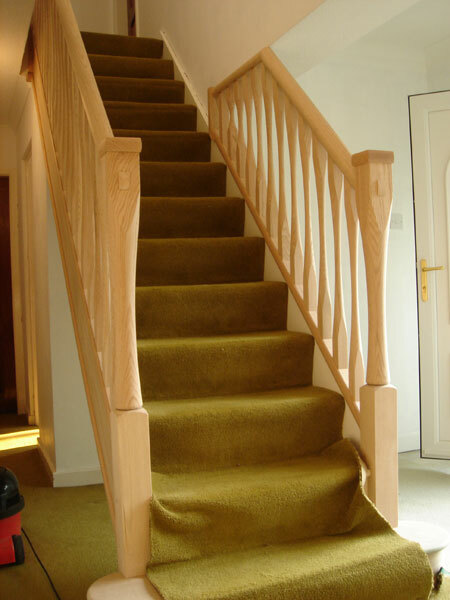 With no existing newel posts new newels are required - this is the most important aspect in any stair conversion. 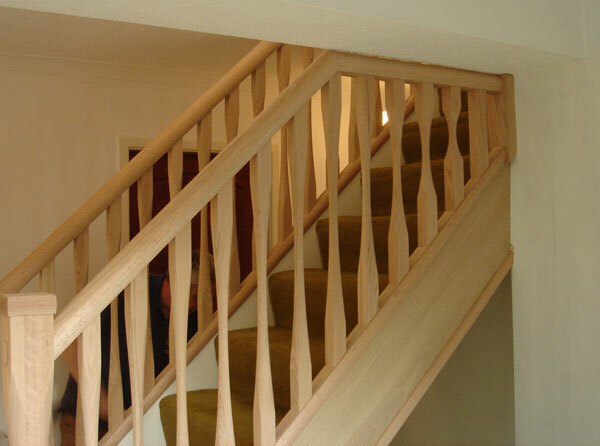 New Slender stairparts in Oak. 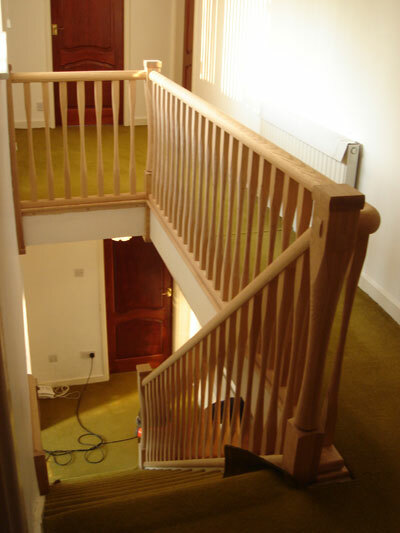 This stair conversion was carried out by our fitters and some bespoke deminishing spindles were required as you can see above. We have also provided oak linings for the strings.